Velvet Finishes Deco Paste binds and seals porous materials like wood, paper and fabric. Deco Paste dries clear and gives a smooth finish. 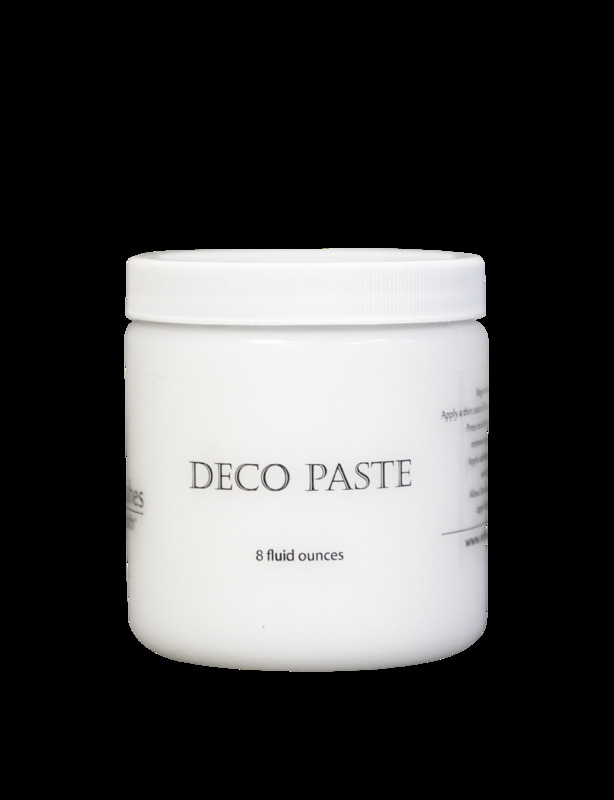 Decoupaging is easy and fun with Deco Paste! Deco Paste dries to a clear matte finish. A true favorite among crafters of every style and skill level. Works well with materials like wood, paper or fabric. Offered in an 8oz container size.